1 Today we try to understand, what is the Net Framework? Many PC users often ask questions about a particular computer program or application. For some it's all in the dark forest. Today we try to understand, what is the Net Framework? each user, to start, is not superfluous to learn, that any operating system (whatever it was on your PC either Windows or Android, or any other) It does not provide that it has a mechanism, which will recognize the various programming languages, used when writing programs or games. Today, for these purposes net framework platform, in which programming environment is called a virtual machine. It is almost an analog familiar to all of us jawa platform, but a Microsoft company. In simple human terms, the net framework is a platform, to enable your computer to read a particular program, regardless of, on what computer language it was written. Moreover, With it you can create your own Apps in different languages. Today, net framework has certainly provided some versions of Windows. Since the release of the first version of the platform (2002g) Microsoft has significantly improved net framework, adapt it to the specific needs of all, posed by modern machines. With improvements complex net framework became properly display applications and scripts, written in different languages. The principle of the virtual machine is, she has a built-in jit compiler, which instantly translates the byte – codes of different programs and applications in your server code any personal machine. The first was to all previously issued by one of the most appropriate. she, but modernized with the times and received a set of upgrades, gained popularity among users for its stability. 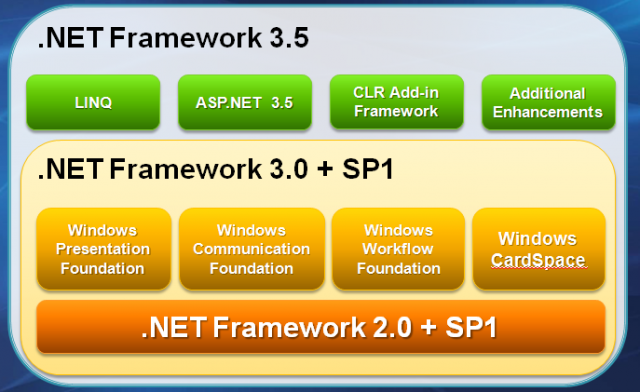 А Net framework 4.5 It is in addition to the version of Net framework 4.0. The platform at the time received a very important updates, which now allow correctly read items, written in Visual Basic and C #, and interact with any other application. According to programmers, the latest version is the most reliable, safe and functional among the other versions Net framework.